“What is Anti-Aging?”by Dr. Barry Sears is part-three of the three-part series in the Healthy Eating section. Part-one “Are You a Food Addict?” by Janis Jibrin, M.S., R.D. can be found here, and part-two “Foods That Help Fight Fat” by Janis Jibrin, M.S., R.D. is published here . To answer that age-old question, you first have to ask what causes the aging process in the first place. There is a growing consensus that what causes weight gain, early development of chronic disease, and aging in general is due to increased inflammation at the cellular level. This cellular inflammation has no pain and therefore you can’t sense it, but you can easily see the results: Increased body fat, wrinkles in skin, fatigue, and symptoms of chronic disease. What this increased cellular inflammation does is to disturb intricate molecular communication systems that when operating correctly, ensure the body is running like a well-tuned cell phone system. There is no drug that can reverse such cellular inflammation, but an anti-inflammatory diet can. An anti-inflammatory diet is one that is based on balance, not hunger nor deprivation. All you have to do is simply balance your dietary intake of protein, carbohydrate, and fat the best you can at every meal. It’s actually easier than you think. First you divide your plate at every meal into three equal parts. On one-third of the plate put some low-fat protein (chicken, fish, etc. that is no bigger or thicker than the palm of your hand. On the other two-thirds of the plate fill it with vegetables and a little fruit. Finally add a dash (that’s a small amount) of heart-healthy fat, like olive oil. If you have done this balancing act correctly, then you will not be hungry for the next five hours while maintaining peak mental alertness. Those are the signs that you are beginning to turn back the aging process. The only secret is to try to maintain this dietary balancing act the rest of your life. The biochemistry behind cellular inflammation is complex, but you don’t have to be a rocket scientist to slow it down as long as you have a hand and an eye to balance your plate and the desire to live longer and better by following an anti-inflammatory diet. Q: How much fish oil should I add to my diet? Q: Should I take it every day? 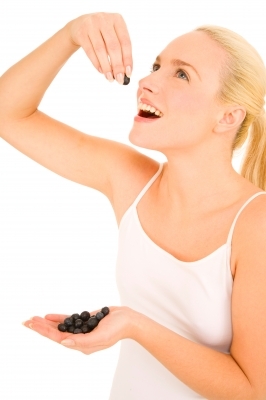 [Barbara’s Side Note: Regarding the image—it’s a picture of an attractive woman eating blueberries. Healthy eating doesn’t mean you’re going to turn into a model, but eating healthy means it can benefit your overall health and well-being. Healthy eating means eating a balanced diet and choosing foods wisely to help prevent heart disease and other health conditions. Healthy eating may mean a healthier life for you. Dr. Barry Sears is the creator of the Zone Diet and the author of The New York Times bestseller, Enter The Zone. He is a leading authority on the dietary control of hormonal response and develops innovative approaches to help treat and reverse silent inflammation, the leading cause behind cardiovascular disease and Type-2 diabetes. A former research scientist at the Boston University School of Medicine and the Massachusetts Institute of Technology, Dr. Sears has dedicated his research efforts over the past 30 years to the study of lipids. He holds 13 U.S. Patents in the areas of intravenous drug delivery systems and hormonal regulation for the treatment of cardiovascular disease. 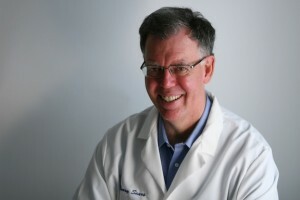 More information on anti-inflammatory diets can be found at DrSears.com. The content on this website and related broadcasts is for informational purposes only and is not a substitute for medical advice or treatment for any medical condition. Promptly seek professional medical care if you have any concern about your health. Always consult your physician before making any changes to your medical regimen.